Sometimes sewing shortcuts can save you a lot of time. Sometimes they can just leave you ticked off with a improperly installed zipper. 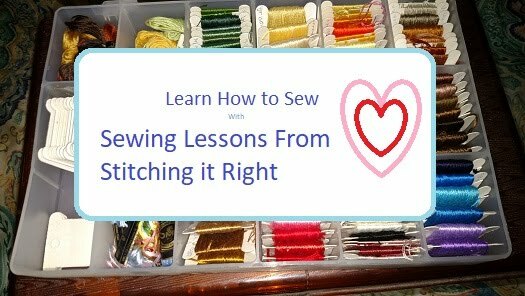 Since I've been sewing over 40 years, and have sewn professionally for many of them, I'm usually pretty confident about taking shortcuts - but every once in awhile, something comes along to knock me down a peg or two - with the message that maybe I don't know as much as I think I do. 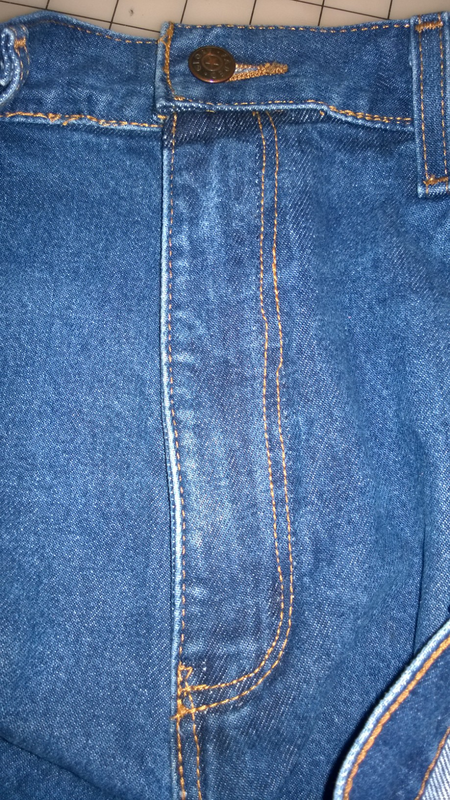 This pair of jeans - took me three tries to get the new zipper installed - thanks to some shortcut-led mistakes on my part. Everything that went wrong was my own fault. I should have either pinned the new zipper in before sewing, or hand basted it - but no - I thought I could just do it. Sometimes it works - this time - it didn't. The first time, I had everything back together, and everything looked just perfect, even the double-stitching was perfect. 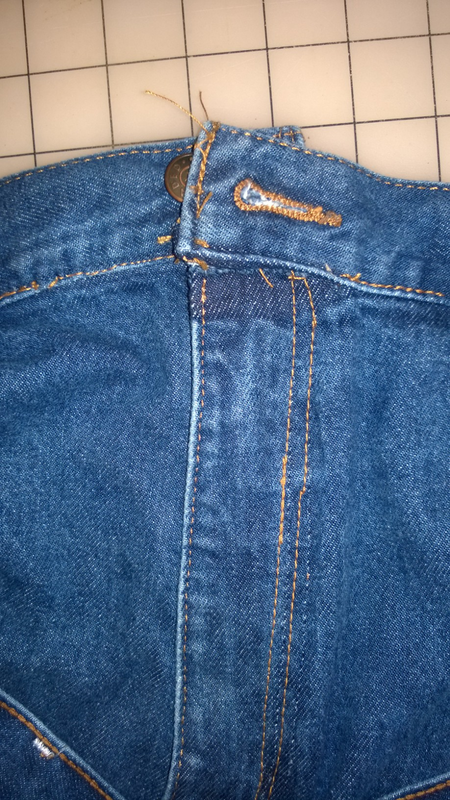 The problem came when I tried to test the zipper and found out I had sewn the fly of the pants shut. 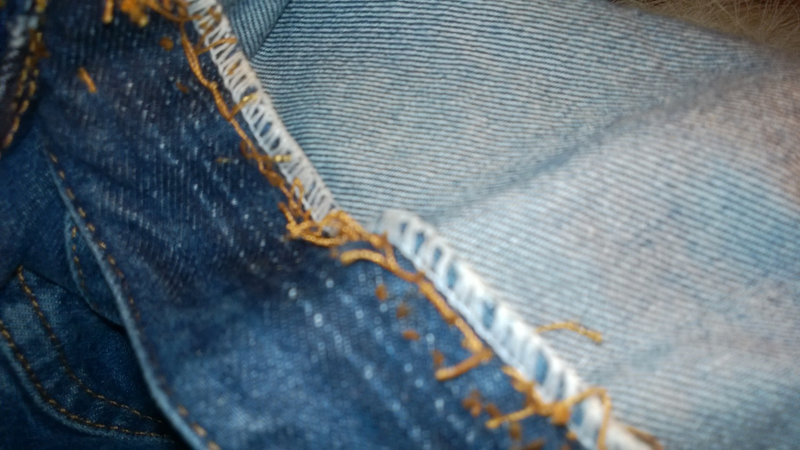 The zipper worked perfectly, but it was irrelevant since the fabric was stitched tightly together. So, for the second try, I unzipped the zipper before stitching it together. That way, there was no chance I would sew it shut. It worked, too, except when I tried to close the zipper and button the waist, the waist was about an inch off and would not button. The zipper still worked perfectly, though, so, I cussed for a while, then ripped everything apart again. For my third attempt, I lined everything up, sewed a little, tested everything, sewed a little more, tested again, then finished sewing. I can't say I'm delighted with my work, when I look at it, it looks to me like maybe a blind person stitched it up, but the zipper works, and really, I don't think the flaws I see when I look at the jeans will show when a person is wearing them, at least I hope not. 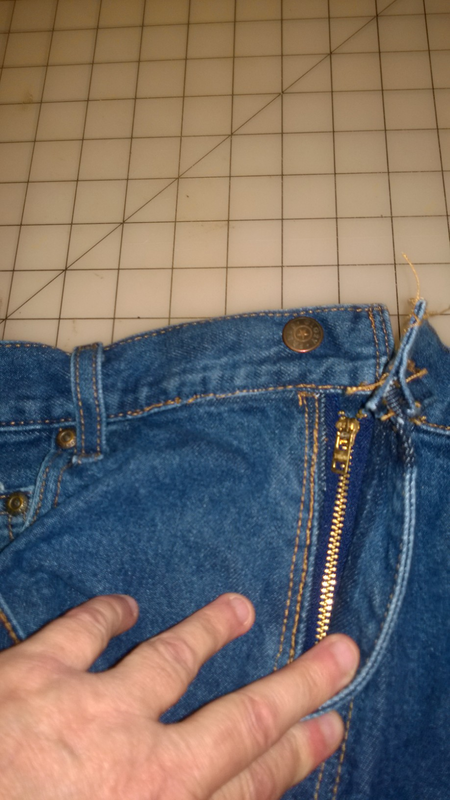 So, in light of my extravaganza of pants zipper replacement shortcut fails, I will be posting a few tutorials on replacing jeans zippers and putting new zippers in pants. I actually do know how to do it right, even though I didn't this particular time. If you have any questions or comments, feel free to ask away.